Tell us about your role and journey into technology. What made you join VIOOH? I have spent the majority of my career in the technology and advertising field, most recently as VP in charge of the Publisher Business Unit for EMEA at AppNexus and VP of Global Partnerships at Yahoo. 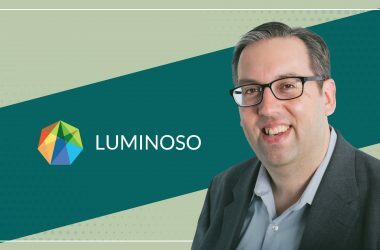 The advertising industry is changing rapidly, so when the opportunity to lead a business committed to the development of a global digital Out-of-Home (OOH) platform presented itself, it was too good an offer to turn down. VIOOH represents an exciting turning point for the industry, bringing together technology, data and audiences into a single platform while promoting cooperation among the key players. What makes the current OOH landscape so exciting? The future for OOH is tremendously exciting. No longer siloed and now becoming a central facet of a holistic advertising campaign, digital OOH is expected to be the second fastest growing medium between 2017-2020. Data and technology are contributing to exciting opportunities within OOH, from building campaigns and audience targeting, to delivering contextually relevant advertisements for greater engagement and enabling performance reporting, post campaign. I’m confident that VIOOH will contribute to this accelerated growth, offering existing buyers and new advertisers a friction-less and transparent experience for automated OOH and programmatic digital OOH transactions. How is a CEO’s role different in a programmatic AdTech industry, compared to its contemporary tech segments (such as MarTech, sales, automation, IoT, traditional OEMs)? Honestly, there is no difference as it is still about making sure that your product or service is addressing a true need and ensuring that high level of service. Obviously, the digital AdTech world has some specifics, but the media business model stays pretty much the same. What is interesting and applies to all traditional offline media is that they are becoming more and more digital, from connected TV, digital radio, and digital OOH. So, I guess that is the logical evolution. Leading the digital OOH and programmatic world is a great advantage; we know where the challenges lie and can ensure we don’t make the same mistakes. How do you prepare for the challenges and opportunities in the AdTech ecosystem? 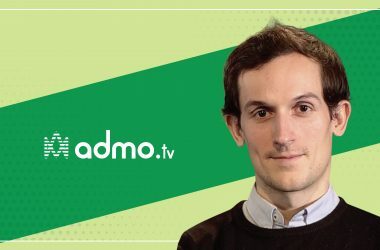 You need to have a clear understanding of the AdTech ecosystem and of the strategies of the different players to better anticipate their moves. That being said, it is always difficult to anticipate all market shifts. It is, however, important to remain aware of them and to read the market accordingly. What are the core tenets of your business development model? How does VIOOH add value to programmatic media buying for publishers? The VIOOH platform essentially has two missions. First, to provide an easier, efficient and frankly faster way for brands, media agencies and specialists to buy OOH and DOOH inventory, powered by data and leveraging VIOOH’s allocation engine to achieve measurable campaigns. Second, to make DOOH inventory more accessible and attractive to advertisers and agency trading desks, enabling data-driven media buying and programmatic trading, in real-time, through leading DSP connections at a time where a larger percentage of budgets are being spent online. To that extent, VIOOH exists to create a stream of incremental revenue for media owners as new digital media buyers invest in DOOH. Where do you see OTT influencing advertising performance outcomes in 2018-2022? As consumers increasingly consume content via OTT devices, marketers must be smarter in order to reach their target market and increase return on investment. Many industries have been disrupted by OTT strategies, but it is a winning bet for marketers to always start their thinking process from consumer behavior. That essentially means knowing through which devices users consume content, perform a specific task or access a service, and ensure they have a controlled, clear and transparent way to connect with them across relevant devices. I guess all the location and map-related services will obviously bring a lot of additional value to marketers, as they will be able to better understand the behaviors and physical patterns of the users and ensure they will connect with them in a relevant location or at the right time (provided that end users will have granted their permission). What goes into creating a friction-less experience for ad buyers through automation and access to data and insights? It takes a few clicks to buy an ad on Google or any other leading digital platform, yet it was taking anywhere between 12 to 21 different systems to buy OOH campaign! This had to change; OOH and DOOH need to become more addressable and accessible for media buyers at all stages including planning and trading efficiency, dynamic content delivery and campaign measurement. In a nutshell, we help buyers achieve their unique business objectives by making it easier to find and connect to target audiences, at scale, using OOH inventory. Our platform leverages audience data such as Route and consumer insights such as YouGov, plus any other data uploaded by the media owners. When combined with our technology sources, we can target new and relevant audience segments to extend audience reach and provide a truly impactful campaign. VIOOH offers a friction-less solution to include OOH in a digital budget. We have simplified the OOH market, improved addressability and campaign measurability, and boosted speed to market by automating the process and enabling programmatic trading and serving content to screens. What benefits do you extend to your customers and partners familiar with your digital OOH platform? Increased revenue, by addressing new clients and new advertising budgets; greater control, as the VIOOH platform allows for media owners to create a wide array of rules to be set to ensure value creation instead of value destruction; and greater efficiency in the way media owners and also media buyers will be able to transact. Campaign creativity – Messages can be more creative and relevant due to the highly targeted nature of the campaigns. This will drive consumer engagement and improve return on investment. Campaign accuracy – Precise audience targeting and campaign parameters improve accuracy by making budgets work harder and, ultimately, drive better campaign outcomes. Efficiency – Automation and programmatic trading allows for faster speed to market, ensuring OOH is more addressable and accessible to media buyers. Alongside data integration and audience targeting, our platform ensures that campaigns are fully optimized. Flexibility – Our platform offers the ability to trade programmatic — guaranteed or non-guaranteed. Addison Lee and the7stars. The recent winner of the ‘Most Effective Programmatic Media Partnership,’ Addison Lee delivered its winning campaign through the platform and their agency, the7stars. Their key objectives were to increase overall bookings, build consideration and usage of the Addison Lee booking app and get an overall push to position themselves as a premium car service. The campaign used data-driven logic (Route, CACI and mobile network data) to determine locations and messages, based on audience and impact times. Creative was managed in near real time, at a placement-by-placement level and integrated weather and social feeds via API. Hour-by-hour reporting enabled the marketing team to optimize their campaign based on performance metrics. Addison Lee experienced a strong improvement in perception and brand health as well as increased usage through their booking app. Technology has changed our world significantly, yet there is still a long way to go before we fully harness the power of the latest technologies for the better of the industry. Using Machine Learning and Artificial Intelligence, we can transform the creation of campaigns and how they are delivered and measured. VIOOH harnesses patent-pending technology to democratize the OOH market. As a business leader today, I see it as a responsibility to ensure that we continue to evolve, using emerging technology to continue to improve our platform and drive the industry forward. Keep it simple! Technology is good as long as it helps to make things easier, allowing people to do things that were unachievable before and ultimately creating true value. But, first of all, technology needs to remain understandable and user-friendly for people to use it… otherwise it fails to meet its main objectives. My job is to get people excited about new ideas, new concepts and ultimately share the vision and the ambition. Shazam… I love music, and for me this app has changed how I find music. Every company thrives to get momentum and momentum is hard to achieve. People usually believe your momentum depends on whether you have a market opportunity and a great execution, but it is not… it’s about speed! How fast you can execute, even if the opportunity is tiny. Similarly, when the opportunity is huge, and the execution is average, but you move fast — you are still creating momentum. But, with no speed and no momentum, all your competitors will overtake you. Tenacity and adaptation are key to success. I love to learn new things every day. Brian O’Kelley, CEO of AppNexus. He has always been a source of inspiration. Thank you, Jean! That was fun and hope to see you back on MarTech Series soon. 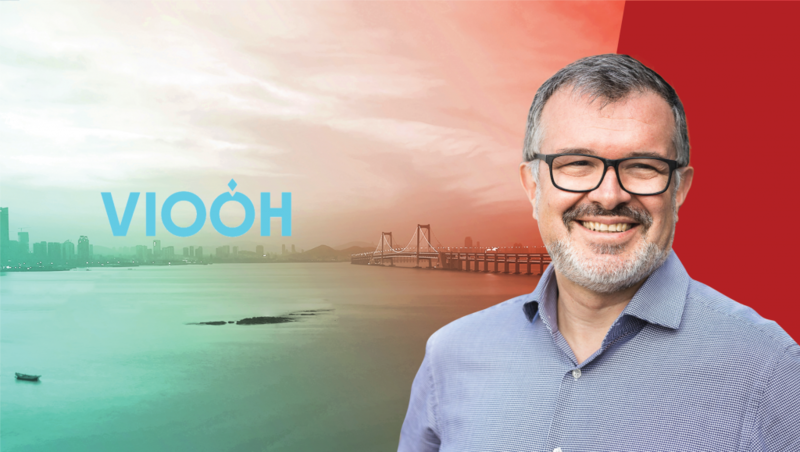 Jean-Christophe Conti is currently the CEO of VIOOH, the OOH platform, backed by JCDecaux, the number one outdoor company worldwide. In this role, JC is responsible for the platform’s global roll out and development towards Digital Out Of Home (DOOH), accelerating its go to market on both demand and supply sides of the ecosystem. Previously JC was VP head of Publisher Business Unit for EMEA at AppNexus from 2014 to 2017. In his role, he was in charge of the Go to Market and development of AppNexus Publisher and supply side businesses. 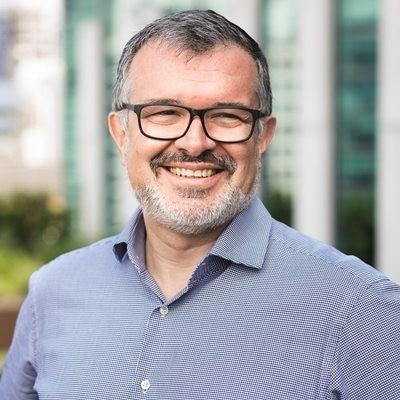 Jean-Christophe and his team have been driving a significant growth for AppNexus in the EMEA region, signing many strategic Ad tech Display and Video partnerships, with leading publisher and media groups, Telcos and broadcasters such as Schibsted, Le Figaro, Prisa, Lagardère, De Piersgroup, Sanoma, TF1, Mail Online, eBay Europe,… among others. Over the last 15 years, JC had the responsibility of P&Ls up to $450M, and teams ranging from 27 to 180 people. JC is a seasoned digital exec who held several Business Development positions at Overture and Orange prior to Yahoo. He is the proud father of 3 and speaks English, Spanish and French fluently and lives in London. We are a global technology platform for the DOOH marketplace who combine data and technology to enable brands to develop cutting-edge campaigns that reach the right audience at the right time. Built on the principles of openness and agnosticism, our platform is simple and easy to use, making DOOH accessible while keeping brand safety and integrity a priority. Designed to be complementary to other channels, we are setting the new standard for sector-wide cooperation, working with brands, partners and media owners across the globe without bias.